Observation - Mouse - UK and Ireland. Description: A brown mouse seen on the bird feeder! 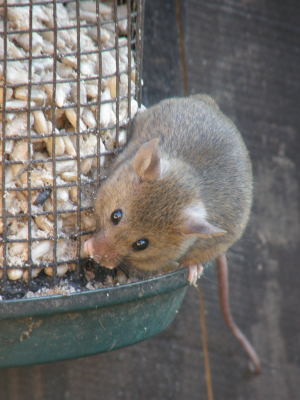 A brown mouse seen on the bird feeder!